Having people over for Pride? 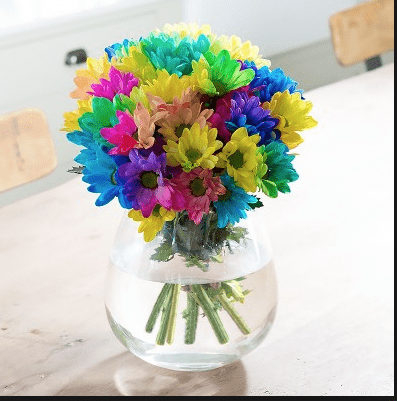 Why not decorate your table with rainbow colours? Brightly coloured daisies fill this petite glass vase. Suitable for a small table, or work desk. Also looks great in groupings down the center of a dining room table.